I got an email this morning, enjoining me to sign up for the Stinging Mettle MTB Marathon event. Except it didn’t call it a marathon event. It called it, as it’s been calling it since the first announcement, an Enduro. Let’s just get something straight here. Stinging Mettle is not an Enduro. It’s a marathon. 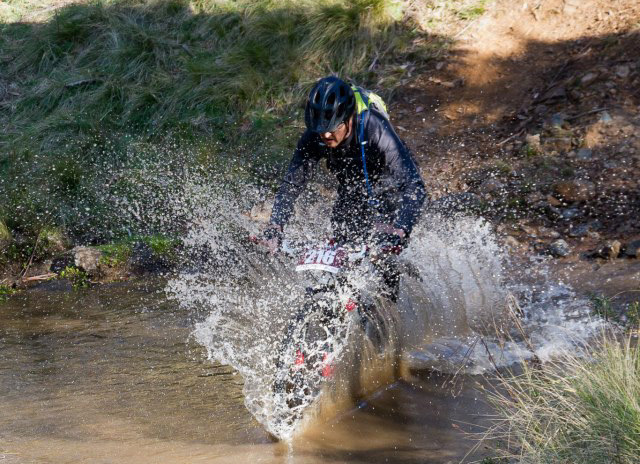 In years past, it was acceptable to call 100km XC races “enduros”, because the meaning of the phrase “MTB Enduro” wasn’t settled. It was used interchangeably as shorthand for “endurance race” and for events inspired by motorcycle enduro. In Europe and North America, the timed-stage version prevailed. Here in Australialand, several organisers applied it to marathons and that definition seemed to have the upper hand. However these days, there’s an Enduro World Tour, which is All-mountain racing, in timed stages with untimed sections, and as such the meaning of Enduro can be said, fairly, to be settled. It’s gone international, and as such, Aussies need to get with the program and start calling marathons marathons. Stinging Mettle is not an Enduro. The Tathra is not an enduro. Kanangra is not an enduro (my 2012 race jersey, with “enduro” written all over it notwithstanding). Catch up, people. You’re on the wrong side of history here. The meaning is settled. Enduro is timed stage all-mountain. Your events are marathons. Deal with it. Update: Pinkbike weighed in on this topic not long after me. AS did Flow Magazine on their Facebook page. Get a grip, The Australian MTB Racing Industry!